2) Carve out a sacred space. It can be in your home or yard, the forest or beach -- anywhere! You may wish to create a small autumn altar on a shelf, table, or near your yoga mat or meditation space. If outside, you might use a stone or tree stump as an altar, or create a beautiful spot at the base of a tree. Place your special candle on your altar. You might also include seasonal objects you've gathered, such as leaves, acorns, stones, fruits. Recognizing and honoring the balance of the light and dark within you, as there are equal hours of each on this special day. Harvesting, expressing gratitude for, and celebrating the bounty and abundance from the seeds you've sewn earlier this year. Soulful planning for the cooler, darker, introspective months ahead. The seed you plant now can bloom next spring. Making a commitment to open your inward eye during these darker months, discovering more about your unfolding, authentic self. Replenishing yourself - mind, body, and spirit. As reflected in the plant and animal life around us, we are also moving into the time for dormancy, hibernation, rest, and renewal. In this season of roots, spend time honoring your ancestors, calling on them for guidance or protection. 5) Now call your guides into the space. Your personal guides might be your spirit guides, angels, gods/goddesses, animal spirits, ancestors or any un/seen entity that feels good and clear to call on in support of your highest good and your intention. Facing east: "Spirit of the east, great spirit of air, cleanse this space." Facing south: "Spirit of the south, great spirit of water, bring peace to this space." Facing west: "Spirit of the west, great spirit of fire, energize this space." Facing north: "Spirit of the north, great spirit of earth, ground this space." Directed upward: "Great father sky, protect this space from above." Directed downward: "Great mother earth, nurture this space from below." 7) Say your intention aloud and/or meditate on it like a mantra. Allow the intention statement to flow through your body in both directions -- inhaling the earth's energy up from the bottom of your feet (or base of your spine if sitting) from root to crown until it ascends from the top of your head to the heavens. Then exhale it down from crown to root, grounding your intention into the fertile soil of the earth. 8) Place the small paper with your intention on your altar. I often place mine under a candle or a stone to ground and enliven it. 9) Close the ceremony circle by offering gratitude to your guides. Also you may want to repeat or reverse the act you chose for opening your ceremony, such as snuffing the candle or herbs, sounding the bell, or crossing back over your threshold. 10) Allow the ceremony live in you as you move through the season ahead. Interact with your altar and/or journal, revisiting your intention and noticing the ways you are actively manifesting it in your life. Smudging is one of my favorite ways to cleanse my space and my being, so I thought I'd break this ritual down to a few simple tips today on my blog. You might have heard the word "smudging" used and you may have seen what looks like dried leaves tied together with string in WholeFoods or your local apothecary. If you have, and you've wondered what that's all about, read on. Smudging is the term for clearing lingering energy (of a space or a person) by burning various healing herbs. The idea of purification by smoke can be traced back to Native Americans, though many cultures around the world have rituals using herbal smoke mixtures, including some from China, India, Southeast Asia, and Europe. Smudging has been known to cleanse or purify energy, whether it is that of a person or a space. Essentially, it does the same thing for the person or space that hitting "reset" would do for your cell phone. Native people believed the smoke ascends to the heavens, or the world of spirits, acting as a spiritual messenger. For those of you who like a dash of solid science with your woo woo, I recently saw this article citing studies on how smudging cleanses the air of harmful bacteria and can be medicinal. You will simply light the bundle of herbs, then tamp the flame so the dry leaves are just smoldering. The smoke is what you want to use here to clear the air. You can wave it around yourself or in the corners of the room with your hand or more traditionally with a feather. When doing this, you can set an intention to cleanse away anything that is not yours and is not serving your greatest good (or any verbiage that makes sense for you.) If you have smoke alarms in your space, keep your window open while smudging. For you visual types, here's a short Vimeo video by herbalist Maia Toll showing you how to smudge with a bundle of sage. Sage: Used to heal and bless. Drives away negative energies, old patterns, influences that do not serve your greatest good. This is a great herb to burn on the full moon, when we enter the period of waning and shedding. 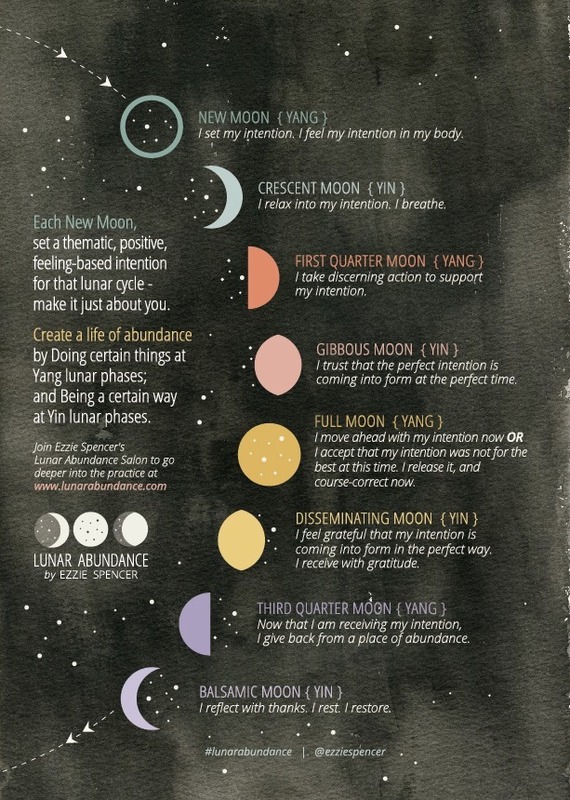 I wrote a blog post about rituals for moon phases with more on this piece at this link. Cedar: Used for protection. This is a wonderful one to use when moving into a new home, apartment, or office. Mugwort: Used for protection, well-being, and endurance. It is said to be "the traveler's friend." It is also helpful for tapping into your dream world or bringing about lucid dream states. Lavender: Calls in spirit guides and is said to guard against negative spirits, and was used in Egypt for mummification. Palo Santo: Calls in new, manifesting energies (Also great to use during the new moon) The sticks of this tree are the part that is usually burned, though you can also find bundles of its leaves at times. If you'd like to learn more about the ritual of smudging, google has so so so many links for you to peruse. Happy cleansing!